Jonathan Herseth, M.D., joined the Minnesota Center for Orthopaedics in September 2016. He uses both surgical and nonsurgical means to diagnose and treat ailments affecting muscles, bones and joints, degenerative diseases, infections, tumors, and congenital disorders. He has special interests in treating sports related injuries. A graduate of the University of Minnesota Medical School Twin Cities, Dr. Herseth also completed their orthopaedic surgery residency program in 2015 and finished his orthopaedic surgery fellowship in sports surgery in 2016. He also obtained his Bachelor of Science degree in biology at the University and studied at the University of North Dakota in Grand Forks and University of Arizona in Tucson. 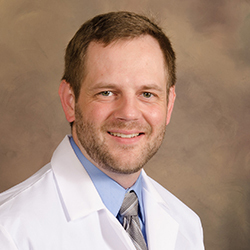 Dr. Herseth is originally from Roseau, Minn. Dr. Herseth is a member of the American Academy of Orthopaedic Surgeons, Minnesota Orthopaedic Society and the American Orthopaedic Society for Sports Medicine. He has worked as a lab assistant while an undergraduate and has experience working on construction crews during college and high school. He has served in several volunteer positions at medical centers, clinics and on a mission trip to Belize. He is also a former pilot and has other interests in hunting, fishing, and Great Lakes marine history.